First column=preferred terms. Bold and italics signifies other defined terms. Bold signifies alternate terms used. Administrative Policy and Procedure Manual. 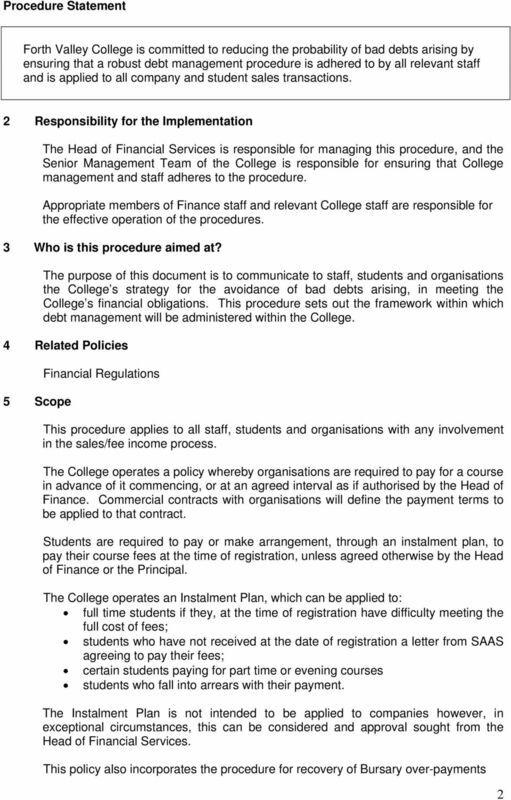 Collections Effective Date: 08/22/2013 Scope: Hospitalwide Page 1 of 9. 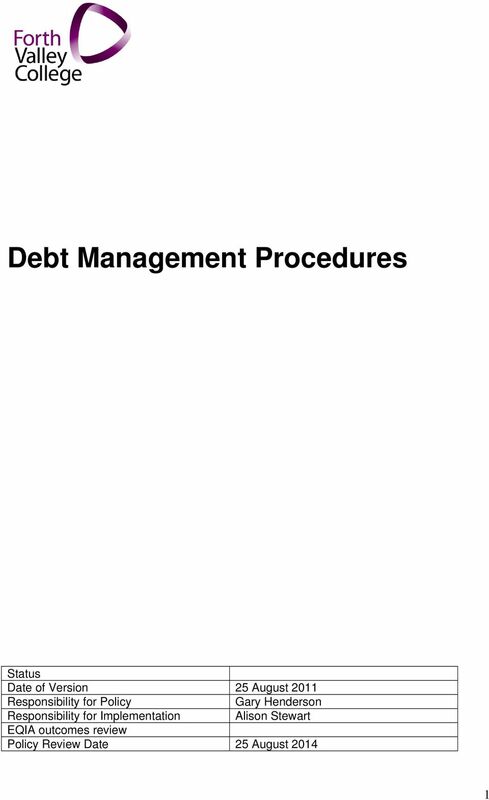 Management and Collection of Debt Policy. Effective date October 2014 Review date October 2017 Approved by Link Group Board. www.linkhousing.org. 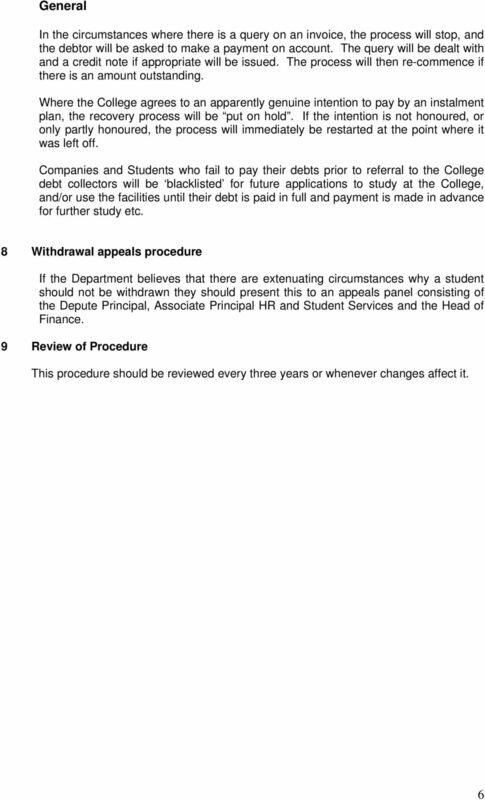 Debt Recovery Procedure te F13 Partners in Care Version: 7 Page 1 of 8 This is a controlled document. It should not be altered in any way without the express permission of the author or their representative. 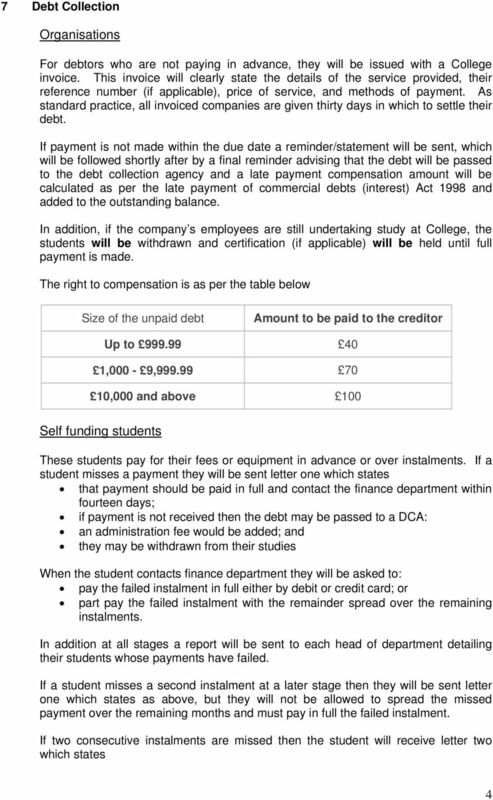 T&Cs for NON-GUARANTOR Instalment & Bond Loans 1. 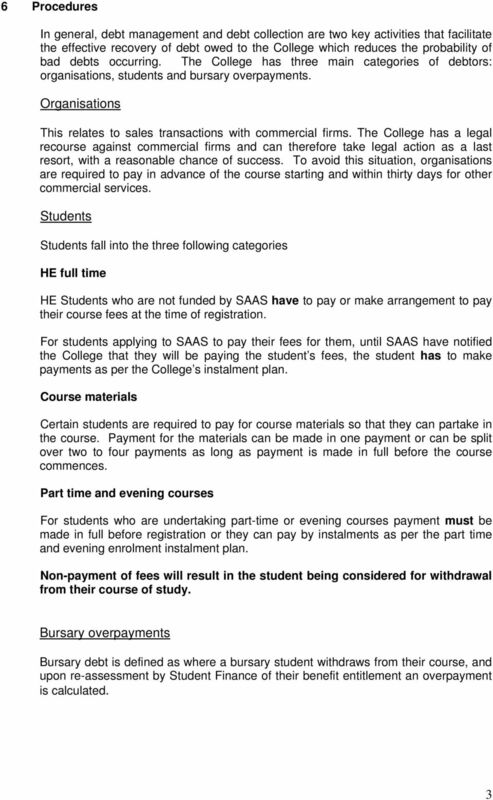 INTERPRETATION TERMS AND CONDITIONS 1.1. 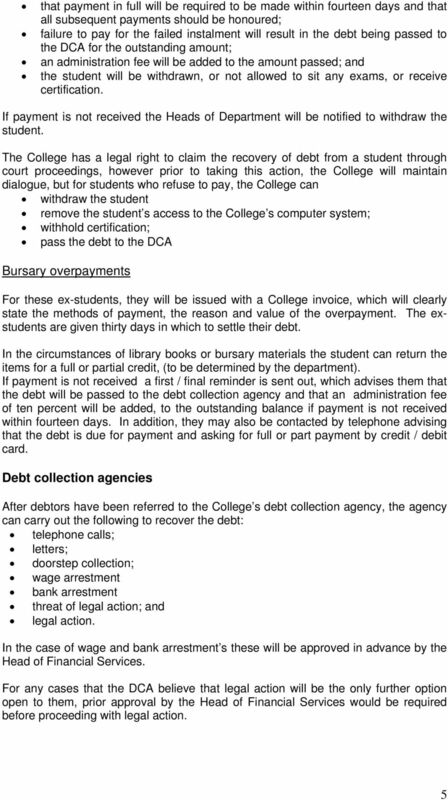 In these Terms and Conditions, the words "you'" and "your" refer to the Debtors who have entered into this Agreement.